Pakistan has at last drafted a policy for 3G auctions. Upon successful launch of 3G Technology, a new era of faster mobile internet will be started in Pakistan. Although PTCL has already launched 3G enabled mobiles and EVO devices but this technology was not openly available on all gadgets. Now it will be available on all 3G enabled devices, moreover it will create healthy market competition so Pakistani consumers will get quality mobile internet services on affordable rate. It is hoped that 3G will be available to Pakistanis in around mid of 2014. Mobile subscribers would be able to transmit and receive high speed data through their mobile phones once the next generation services are launched. Be happy as you will be able to make video calls through Skype etc and watch online videos and live TV streams. Matter of 3G auctioning is pending for years in Pakistan. Pakistan is a home of over 120 million mobile devices. Most of the developed countries are now offering 4G services (an advanced form of 3G). 3G is the abbreviation of 3rd Generation of Mobile Telecommunication Technology. 3G supports a broadband transfer rate of at least 200 kbps to several Mbps to smartphones, tablets and mobile modems in laptop computers. 3G technology is much faster than GPRS and EDGE, which are currently being used in Pakistan for data transfer. The first pre-commercial 3G network was launched in 1998 and commercially launched in Japan in October 2001. First commercial 3G network in Europe was opened for business by Telenor in December 2001. 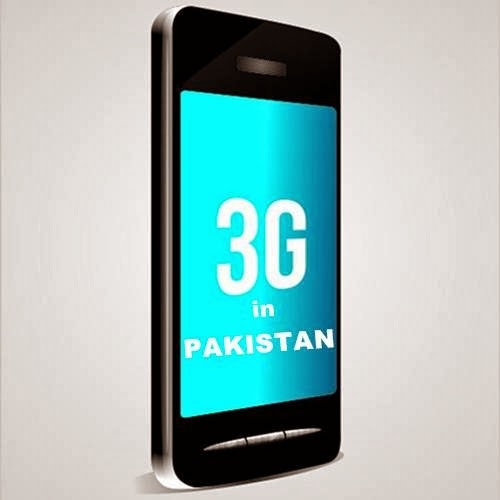 3G was relatively slow to be adopted in Pakistan due to delay in making policy regarding 3G license and auction. 3G networks do not use the same radio frequencies as 2G so mobile operators must build entire new networks and license new frequencies. Ministry of Information Technology and Telecom, earlier this month, issued the policy directive for the auction of 3G licenses after approval of Prime Minister Nawaz Sharif. PTA is responsible for license auction. As identified by Frequency Allocation Board (FAB), a 30MHz paired spectrum in 1.9GHz/2.1GHz band will be auctioned to telecom operators. All existing cellular mobile operators as well as new entrants will be eligible to participate in the auction. PTA has already published advertisement in international and national media to hire consultants. 3G networks offer greater security than their 2G predecessors. 3G offers higher data transfer rate. Watch live TV streams and online videos. Downloading will become much easier and smoother.